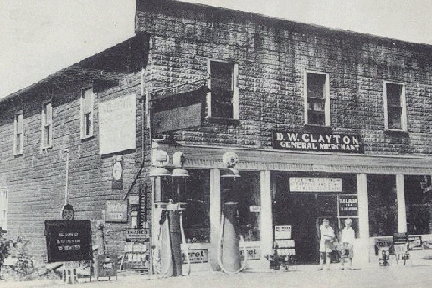 There is conflicting information as to who built the Mansfield General Store. 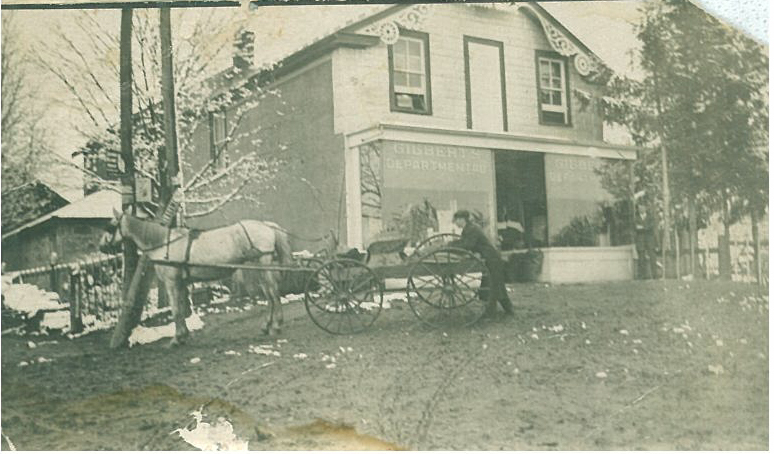 One account has the store being started by Hezekiah Gilbert and his wife Minnie Beatty as Gilberts Department Store, Mansfield, Ontario. Another account suggests that the Mansfied Department Store was founded by M. Beazer, continued by William Gilbert for a time, then his son Hezekiah Gilbert and then later owned & operated by William Bates. The store has been operated by numerous owners over the years and has changed to reflect the needs of the community. Today, the newly-built brick and glass building has replaced the old-style general store. It has easy access, good parking and offers a broad range of goods and services. 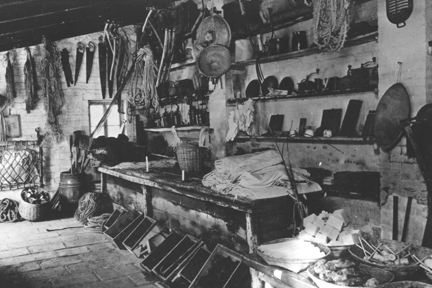 General store owners in rural Ontario were better described as merchant-traders. They traded for local products such as eggs, chickens and produce, and took them to the larger towns such as Orangeville, Shelburne or Alliston for re-sale. In exchange they provided the community with things that weren't readily available locally, such as flour, sugar, coffee, tea, hardware, kitchenware, etc. 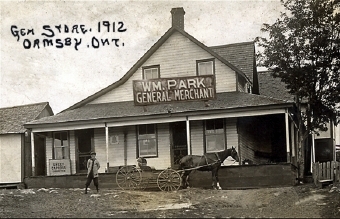 It was not unusual to have the local post office as part of the general store. The store was usually the hub of the community. 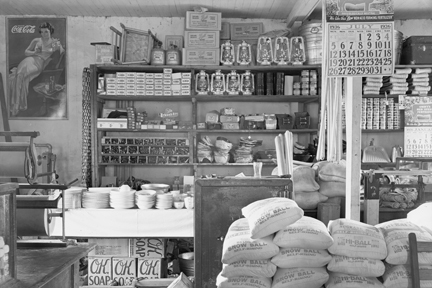 General stores have now become convenience outlets. They carry the basic necessities such as eggs and milk, plus a limited amount of things like flour, butter and some baking needs. Mostly, they have snack foods, sometimes videos, perhaps liquor or beer, cigarettes, newspapers, ATMs, etc. Sometimes the store is combined with a gas station. 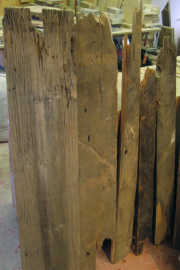 The wood from the old Mansfield Store was weather-worn and thin. It was also in pretty bad shape. Normally, I would cut the wood into strips of about 1 3/8" wide and then mill the surfaces to create a good bond when gluing. In this case, it would mean losing all the wonderful textured sufaces of the weathered boards. 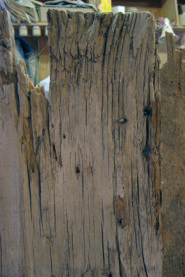 The rough Mansfield Store wood. There was enough wood to make a set of 4 chargers if I got a bit creative with two of them. 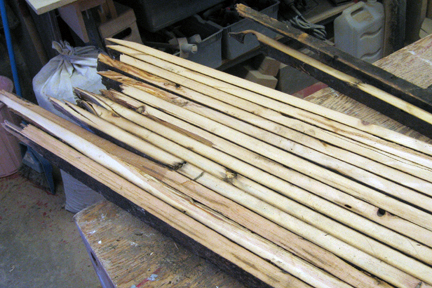 I cut the wood into 1 3/8" wide strips. I milled and laminated the thicker boards in the usual fashion. 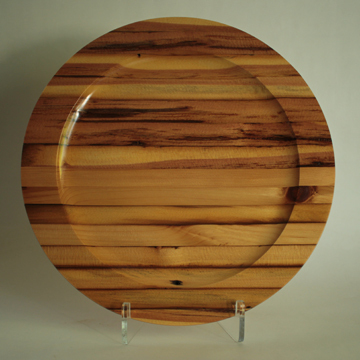 The thin weathered strips were cut to length and laid side by side, unmilled. When I determined that I had enough for two chargers, I set the wood on a plastic sheet and built up the sides of the sheet arouns each charger blank. I then poured clear epoxy over the wood for both chargers until it was completely immersed. I let the epoxy harden for twenty-four hours. 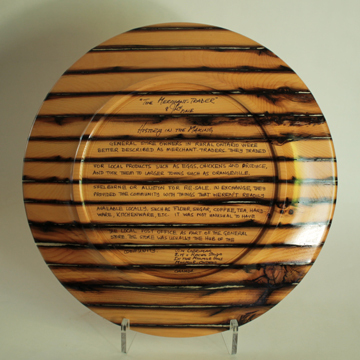 The result was two stunning chargers that one could see right through and on careful inspection one could see the lovely weathered features of the wood. Detail of the charger on the right. The story of rural general stores is on the reverse sides of these chargers. 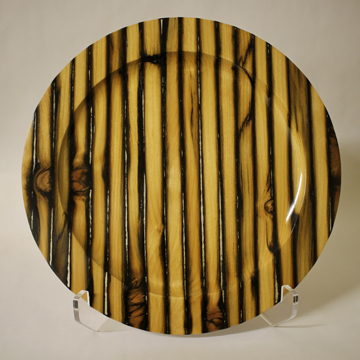 I decided to name these pieces to reflect the changing needs of the communities they serve. 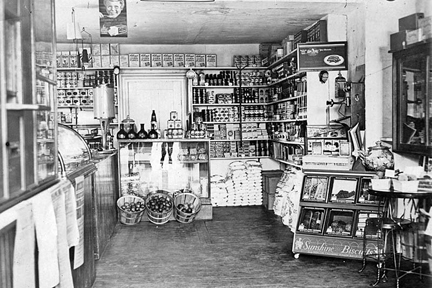 They are "A Country General Store", "The Merchant-Trader", "The Mansfield General Store" and "A Rural Convenience Store". These chargers are for sale as a set. These pieces have been sold. Thje wood cut into 1 3/8" wide strips. One of the finished chargers. The back of one of the chargers.